ST. LOUIS, MO – St. Louis native, Tony Thompson recently released his follow-up album to his freshman album, The Sound Of My Mind II. Thompson is most notably known for his successful business venture, Kwame Building Group, a Construction Management Services company headquartered in St. Louis, where he serves as Chairman of The Board and CEO. What most people do not know about Thompson is that he has always had an extreme passion for the arts, specifically music. At an early age, Thompson was given a full jazz music scholarship, but he turned it down to pursue engineering and obtained his B.A. in Environmental Design from the University of Kansas and later obtained his B.S in Architectural Design, MBA in Finance and Masters in Civil Engineering. Now that he is semi-retired he can get back to his true passion, jazz music. In his high school years he played in a jazz band that opened up frequently in local venues around St. Louis. With four jazz albums previously completed, this new release features Ron Carr and Gerald Warren on drums, Michael Burno Williams and Ken Black on Bass, Keith Moyer on Trumpet, Craig Florez on Guitar, Lina and Aeisha Phillips, and ‘Lil Cuz Jalynn Lee on Flute. The entire album was recorded “live” in Thompson’s studio, TBeats Studio, located in Downtown St. Louis. 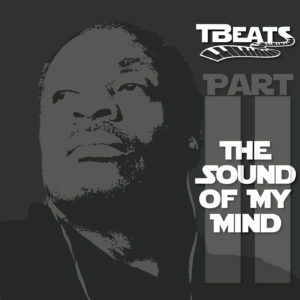 The album is currently available online at www.tbeatsstudio.com and the vinyl version will be available in local stores April 15th. TBeats Studio is an affordable professional music production studio. The studio is located in St. Louis, Missouri at 1204 Washington Avenue on the 4th floor. TBeats Studios is an artist owned company with CEO & President, Tony Thompson which provides musicians with a quality facility to create, learn, and progress in their careers. TBeats provides a full range of services including high-quality music production and classes in audio recording, engineering, recording software and equipment. TBeats also offers artist support services including songwriting, publishing, artistic development, public relations, branding / marketing, and acting, fashion and career consulting.